MELBOURNE, Florida - Melbourne High’s Pride of Mel-Hi Marching Band will perform in the annual National Cherry Blossom Festival Parade in Washington, D.C. on April 14, 2018. The school was one of only 13 bands from across the nation selected to participate. The two-hour procession will travel along Constitution Avenue and marks the conclusion of the four-week long Cherry Blossom Festival. The festival takes place in March and April and commemorates the 1912 gift of 3,000 cherry trees from Tokyo to the nation’s capital. The parade draws an on-site audience of more than 150,000 people and is nationally syndicated to an estimated 82 percent of U.S. television markets. Approximately 196 people, including students, staff and chaperones, will travel for this opportunity. It will cost the band more than $125,000 to make the trip. To help with the associated costs, the band created a fundraising campaign which can be found at www.prideofmelhiband.com. “We are so excited to travel up to our nation’s capital and represent Mel-Hi, the city of Melbourne, and Brevard County Schools. The students and I are absolutely thrilled to have this honor,” said Sall. 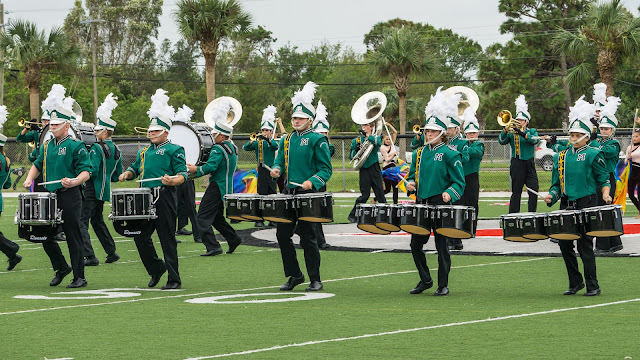 For more information or to contribute to the fundraising effort, visit www.prideofmelhiband.com or contact Joshua Sall, Melbourne High director of bands, at sall.joshua@brevardschools.org.